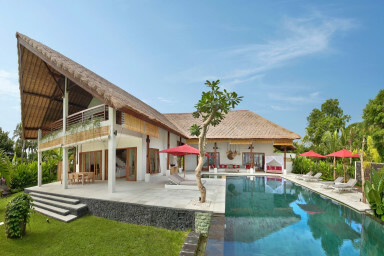 Situated on a beachfront’s plot of 3,600 m2 with Bali’s sea in full view, the private Villa Kembara is a luxury-dream vacation rentals where you can experience fine-living surrounded in Bali’s untouched scenery. The huge garden of the Villa is ideal for children’s playground or family activities outdoor such as picnic with dedicated staffs ready to assist you throughout your stay. A short drive away will take you to Lovina where dolphin sighting can be experienced or plenty diving spot for the enthusiast swimmers.